Acer has unveiled three new high-resolution LED displays targeting consumers as well as professionals. The 27- and 29-inch monitors are designed to allow buyers to more easily multitask or in perhaps even replace a multi-monitor setup with a single large display. 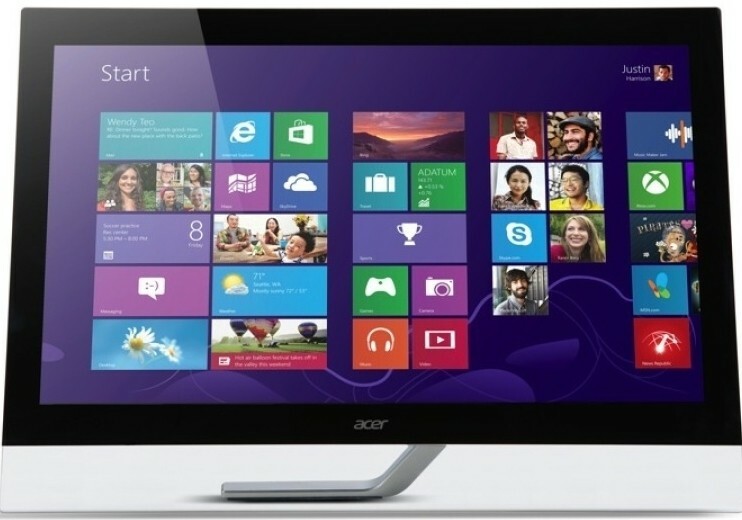 The 27-inch Acer T272HUL features a 10-point multi-touch screen operating at a resolution of 2,560 x 1,440 and is fully Windows 8 compliant. The included asymmetrical stand allows users to tilt the display from between 30 to 80 degrees to help find the optimal viewing angle. Connectivity options include VGA, DVI, HDMI and a USB 3.0 hub. The other two VESA-compliant displays, the 27-inch B276HUL and the 29-inch B296CL, are both non-touch monitors. The smaller of the two operates at 2,560 x 1,440 while the larger 29-inch panel features a pixel count of 2,560 x 1,080. Both models include a convenient storage tray for office supplies, a magnetic surface to keep track of paperclips and the like as well as a release button to remove the stand for wall mounting. If you do decide to use the stand, you’ll be happy to know it’s an ErgoStand with the ability to tilt, swivel and pivot in addition to having height adjustments. Specifically, you can spin it up to 90 degrees clockwise, tilt it from -5 to 30 degrees in the high position and -5 to 35 degrees in the lower position. Both models include DVI-D, DisplayPort, two HDMI ports and a USB 3.0 hub. The Acer T272HUL will be available later this month for $999 while the B276HUL and B296CL can be purchased as of writing starting at $599.